World Sleep day with Utmost Me | Why is Sleep so important? 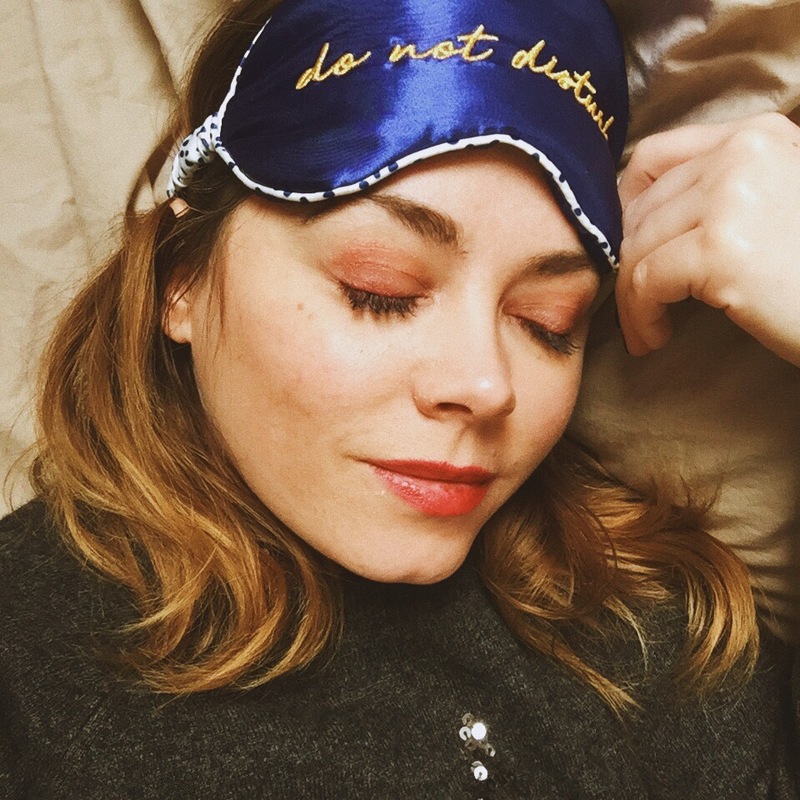 If you were not already aware today is world sleep day, a day dedicated to raising awareness and celebrating Sleep. Last year I spoke on the subject and highlighted HOW to get a good nights sleep, so this year I thought I would speak a little on WHY you should get a good nights rest, and having been invited earlier this week by supplement brand Utmost Me to a wonderful seminar by Co-Founders of Health is Wealth, Chloe & Alexandra, on the subject I feel rather well versed and passionate about highlighting what is such an interesting and crucial element of daily living. First of all, most of us love sleeping. But, there are exceptions and as perplexing as it seems to myself, some see it as a waste of time. The old adage ‘you can sleep when you’re dead!’ might for some, be leading them into a whole host of medical issues that could contribute to an early grave. Sleep it seems, is as vital to our health as eating the right foods or getting enough exercise. Without it we are more prone to heart disease, degenerative illnesses such as Alzheimer’s and even cancer. In addition weight gain is also another side effect of not getting the right amount daily sleep. But why? 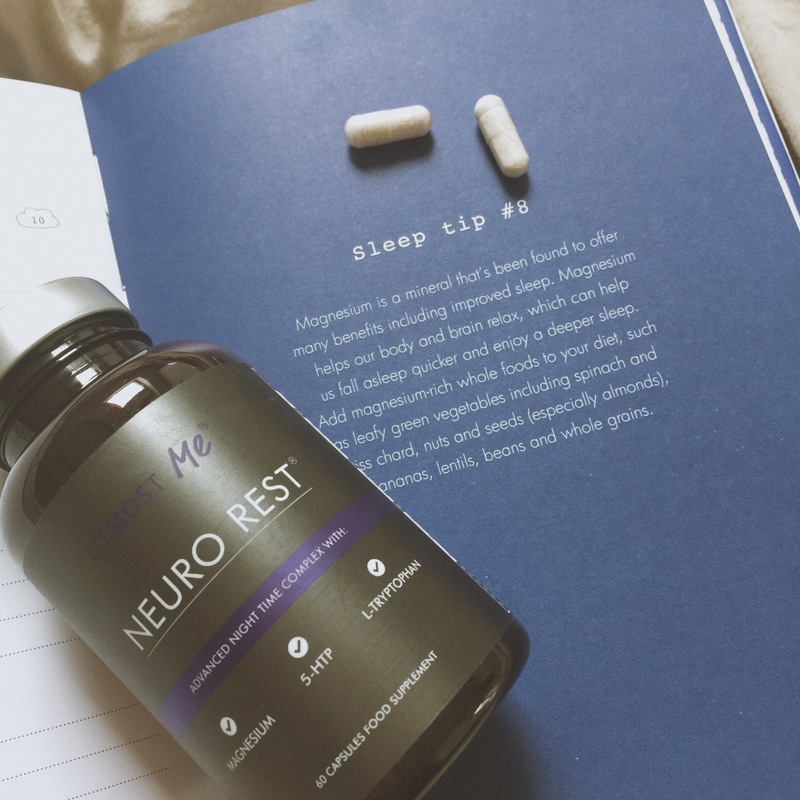 Well, sleep, or lack thereof, is actually the time in which our brain and body repairs itself and without it we are putting them both under enormous pressure. Eventually the cracks begin to show and our brains are unable to ‘clear out’ and reset themselves and our body is unable to repair itself. To be a bit more scientific about it, through the day we have a build up Amyloid beta, a rather dangerous protein which if allowed to, builds up to form a hard ‘plaque’ on the brain. This is what causes Alzheimer’s. However, when we sleep our Glymaphaic system clears this out, effectively it’s like putting the rubbish out at night. This allows us to consolidate our memories properly. Without sleep, our brains fail to do so. In addition when we fail to get the right amount of sleep it leaves our Immune system low and weak which leaves space for cancer to form and hide. A stressed nervous system leads to inflammation, which gives a place for cancer to grow and spread. In terms of weight gain, not sleeping the recommended 7-9 hours per day makes us require an extra 300 calories a day. Over a year that’s 70,000 calories over the year it 10-15lbs of weight gain. This is because our bodies produce the hormones Leptin, responsible for suppressing appetite and Ghrelin, which increases your appetite. Sleep deprivation creates an imbalance resulting in us wanting to eat more. It also makes you produce Endocanobiods which are responsible for giving you the munchies. I could go on and highlight mental illnesses such as depression, anxiety and even infertility but that’s a few frightening things to consider already! So how to deal with insomnia? Ever been so tired you can’t sleep? There’s a reason. Sleeping actually uses a lot of energy so if you are shattered before you’ve even tried to get to sleep then this could create issues in doing so. There are other factors that effect our ability to nod off too, such as lighting and temperature. For example, the lightbulb means we can have full light 24hours a day, which means our brains are being tricked into thinking its daytime rather then evening. A simple way to combat this is mood lighting or candles to signal the brain that bed time is approaching. In addition central heating also has a role to play as our bodies need to drop lower then normal to fall asleep properly. This is why a hot bath or shower before bed is a good idea as it warms the body up and then when you get out you have a temperature drop. FYI the ideal central heating for nodding off is 18.3. I don’t think I need to highlight that laptops and phones are also big no no’s as barely a day goes past without us being reminded, so just please, put them down a couple of hours before going to sleep if at all possible. Likewise caffeine, sugary foods and alcohol. For the latter it actually prevents your brain going into its sleep cycles so while you might be unconscious you are not able to reach R.E.M so you are more ‘knocked out’ like an anathestic, then sleeping. We sleep in cycles of 90 minutes and the longer you sleep for the better the level of R.E.M you recieve. This is why the recommended amount is 7-9 hours. Any longer then 10 is not good though as it will make your body crave more. 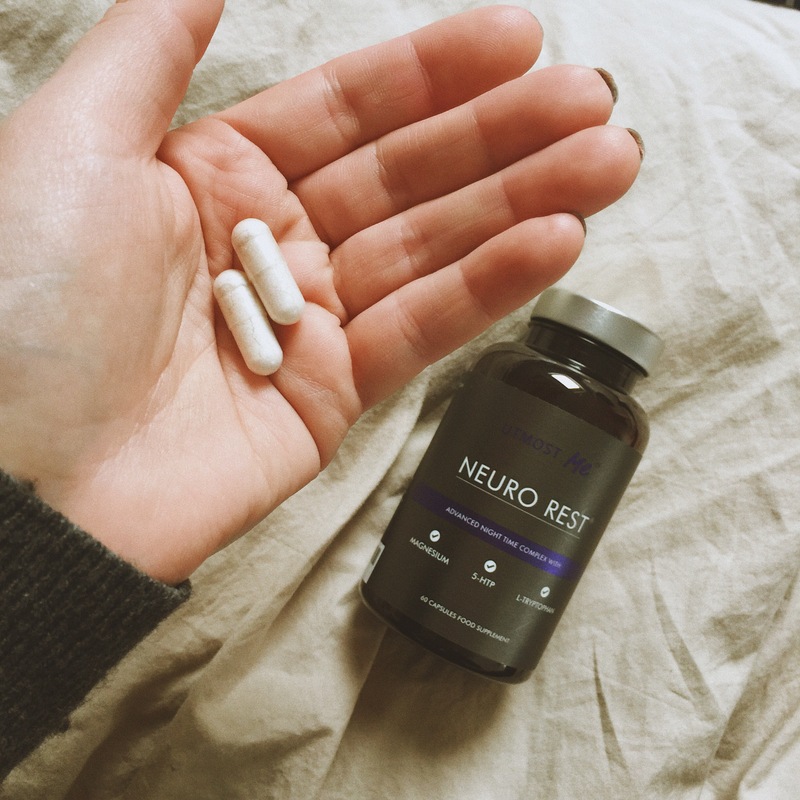 Neuro Rest by Utmost Me is a 100% natural supplement developed to help aid a proper nights rest. 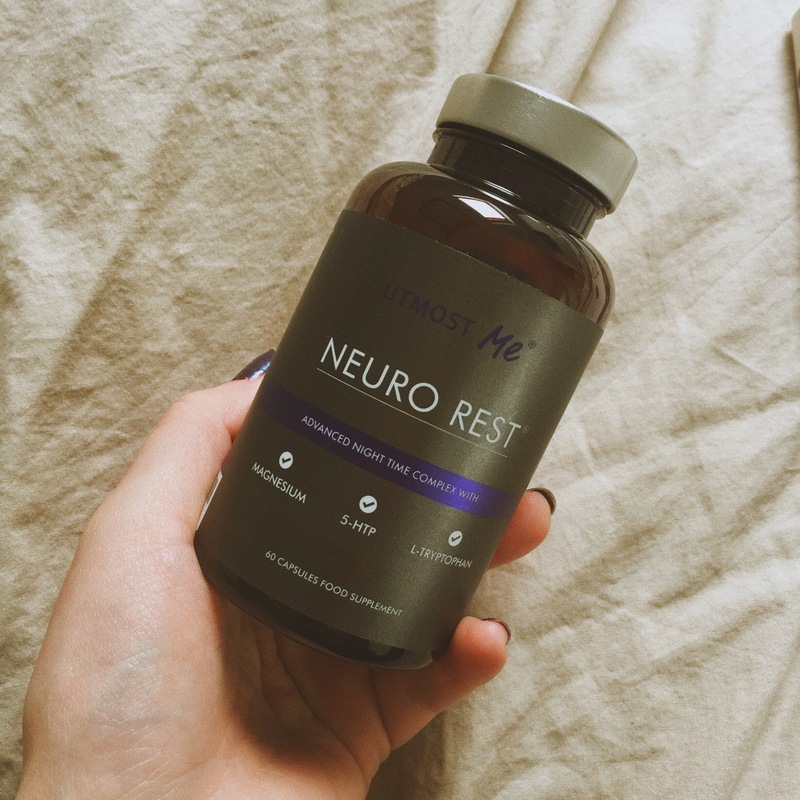 Containing Magnesium, known for its relaxing effects, 5-HTP (or 5-Hydroxytryptophan to give it its proper name) a natural occurring amino acid which helps to raise seritonin levels, in turn dealing with anxiety & stress and L-Tryptohan, also responsible for creating higher levels Of Seritonin as well as Melatonin, a really good anti-oxidant. It’s also vegan friendly & GMO free. 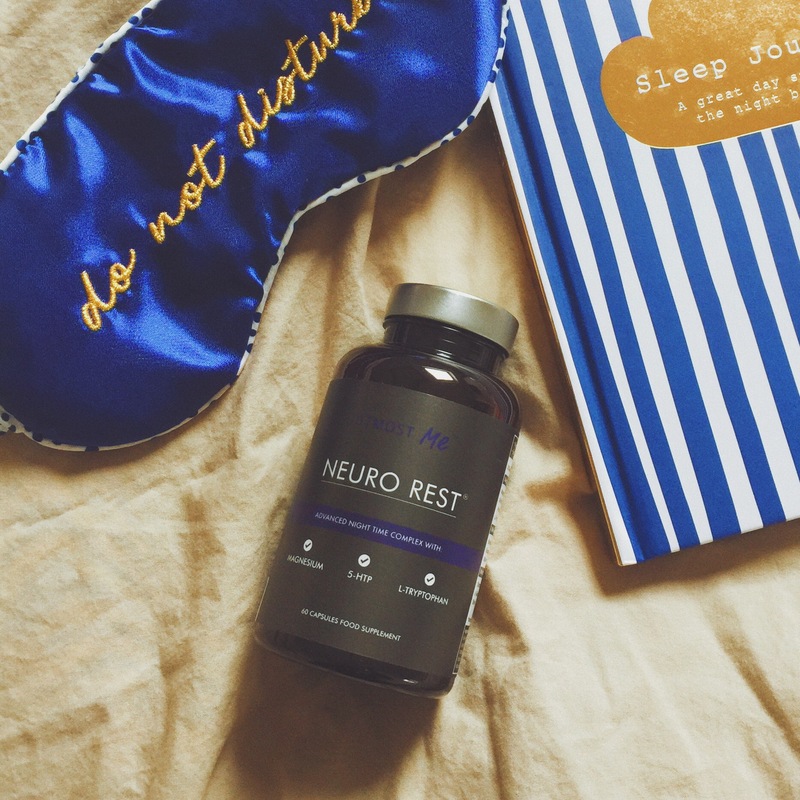 Do you struggle to sleep? What tricks have you learned to help?